Home » Marvel Knights Turns 20: But Was It Almost A Jim Lee Imprint? 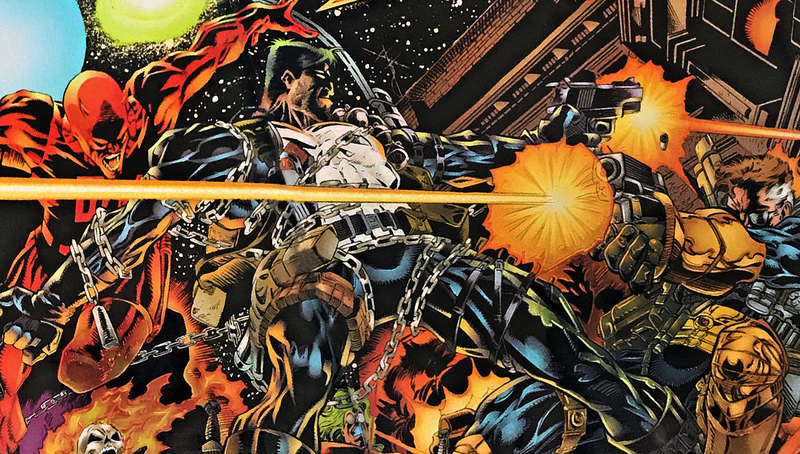 Marvel Knights began 20 years ago this week, and the comics industry was never the same. For one, it opened the door for famous writers from outside the industry. Back then, editors often gave the cold shoulder to people well-known in other mediums, but the Marvel Knights editorial team of Joe Quesada and Jimmy Palmiotti launched the line with a Daredevil story by filmmaker Kevin Smith. The success of the imprint also led to Quesada being promoted to Editor-In-Chief two years later. But it’s the sequence of events that led to the imprint’s creation that I find fascinating. There are so many little moments that, if they’d gone differently, might’ve changed the course of comics history. Most dramatically, Jim Lee was offered the opportunity to run Marvel years before Quesada. Today, Jim Lee is the Chief Creative Officer of DC Comics, just as Joe Quesada is the Chief Creative Officer of Marvel. But their careers are filled with interesting coincidences that, at times, almost resemble mirror images of each other, briefly intersecting at the point where Marvel Knights is born. Unless otherwise noted, any direct quotes come from interviews from Kevin Smith’s Fatman On Batman podcast. I’ve included more information about this and other sources at the end of the article. ■ Jim Lee was a DC fan as a kid, but grew out of them around the time he hit puberty. He was still a comic fan, but now he was a Marvel fan. X-Men especially. 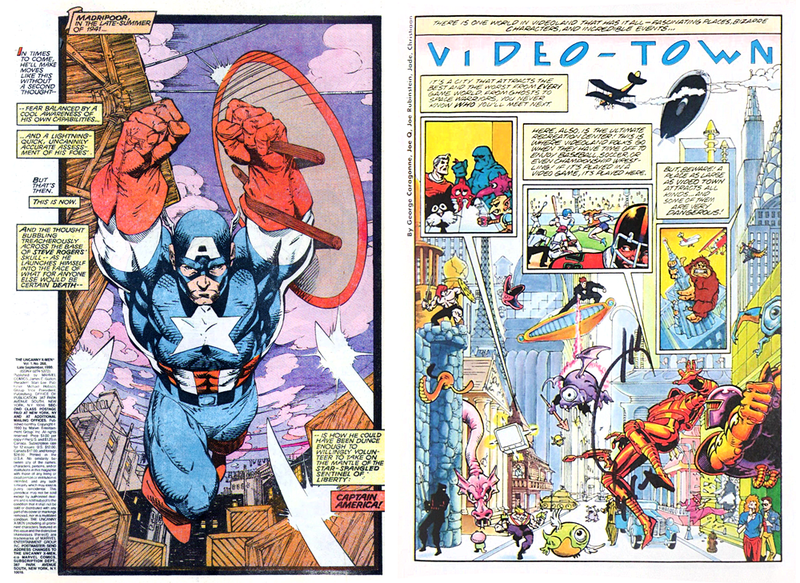 ■ In the ’80s, Joe Quesada worked at FAO Schwarz in New York City. A coworker who saw him doodling suggested he might like a comic that just came out. It was Frank Miller’s Dark Knight Returns #1. Quesada went to a nearby comic store for more like it, and found Watchmen #2. ■ In the ’80s, Jim Lee was studying medicine at Princeton. One semester he signed up for art as a filler class, and suddenly realized how much he’d love to do art as a career. He wanted to draw comics. Luckily, Goodwin liked what he saw. He invited Lee to stop by the Marvel offices after the weekend. It eventually led to a gig on Alpha Flight in 1987, Punisher War Journal in 1988, and fill-ins on Uncanny X-Men in 1989. Then, finally, he landed his dream gig as regular artist on Uncanny X-Men. 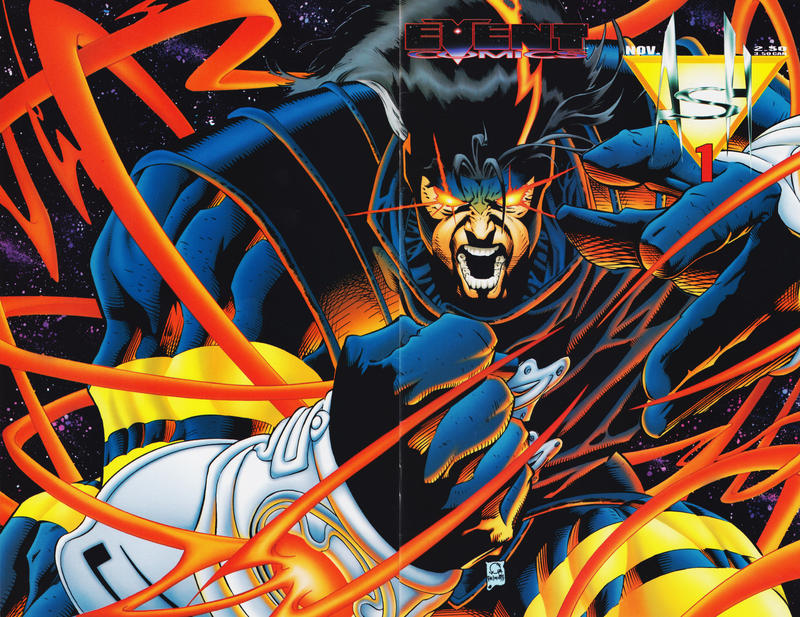 The first full issue of his run kicked off with Uncanny X-Men#268 in July 1990. ■ Also in July 1990, Joe Quesada’s very first published work was released — a single page in Captain N: The Game Master #3 by Valiant. His first work being for a Nintendo tie-in is a strange and fitting coincidence, since his time at FAO Schwartz saw him play a key role in introducing Nintendo to America. And I will never forget that until the day I die, because there have been no more prophetic words ever uttered to me. 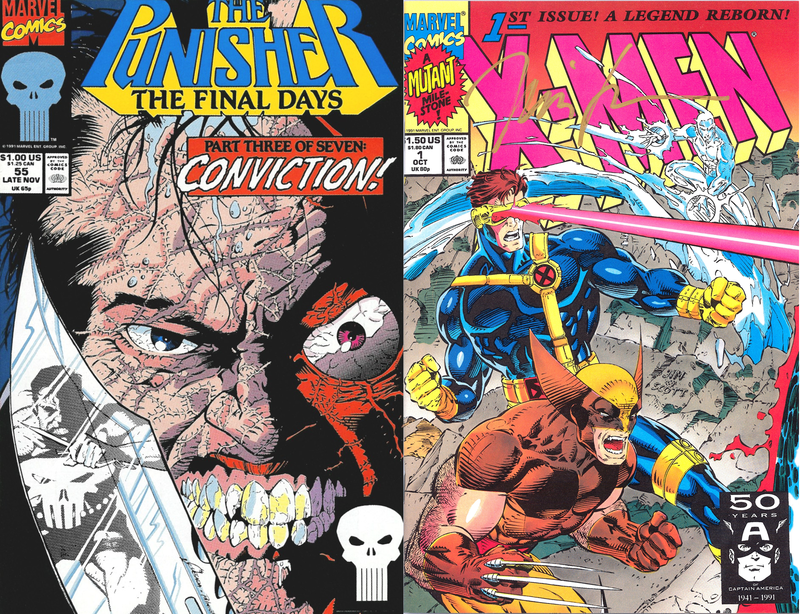 ■ Also in September 1991, the last of the Jim Lee’s variant covers to X-Men #1 were hitting the stands (each one was released on a different consecutive week). A year later he was co-founding Image Comics. But before his creator owned series WildC.A.T.s launched, he got an offer from DC to do Batman. WildC.A.T.s #1 hit the stands in August 1992. ■ Also in August 1992, DC released Batman: Sword Of Azrael #1, the closest thing to a full-length Batman story Quesada had been given so far. Quesada knew he was a hot commodity, because Marvel was trying to get him to do an X-Men book, but he kept turning them down. He had his eyes were on a Batman series, though it was starting to seem like the Bat-office just wasn’t that into him. They were even offering him his choice of X-book. Ultimately, he accepted a gig on X-Factor, based on the strength of Peter David’s writing. But David was on his way out, which might be why it ended up being such short stint. Or maybe it was because the Bat-office was offering him a role in the next big Bat-event: as the designer of Azrael, he now he got to design Azrael’s new Batman costume. He was also doing deluxe fold-over cover for Batman #500, which would be the new costume’s big reveal. Or it was supposed to be. Somehow, a small distributor had gotten a copy of the sketches and leaked them out. 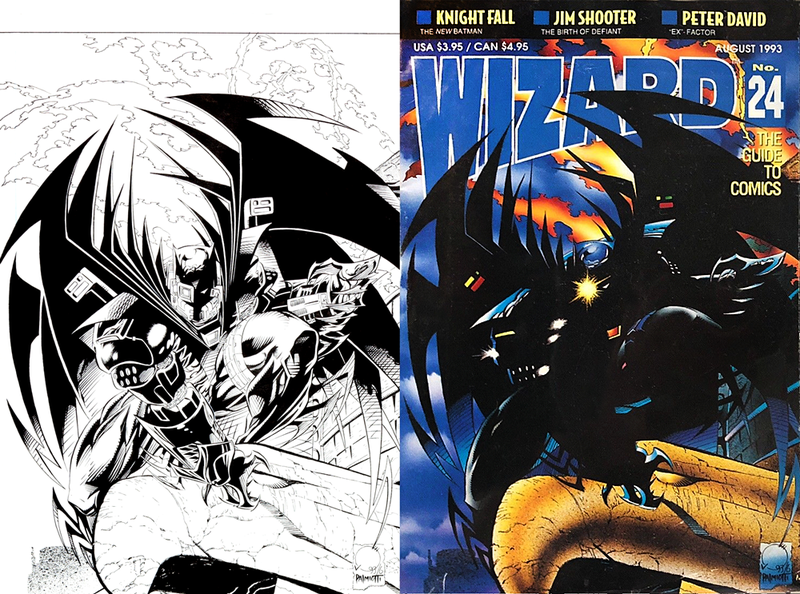 Around the same time, Wizard: The Guide To Comics asked Quesada to do a cover featuring the new costume, assuring him it was approved by DC when it wasn’t. At least the Wizard cover was caught in time to blacken out the costume, putting it in silhouette. But suddenly, work had dried up at the Bat-office. One year later, presumably while turning in the cover to Legends Of The Dark Knight #0, he was informed that he’d been banned from the Bat-books for the last year. ■ At this point Image Comics was calling. But Quesada felt like working at Image would mean being stuck in the shadow of the founders. At Valiant he’d pitched Bob Layton an idea for a firefighter superhero, which Layton didn’t care for, but maybe it’d be better to just self-publish it. Quesada co-founded Event Comics with Jimmy Palmiotti, and Ash #1 launched in November 1994. Within a year, they were in discussions with Steven Spielberg’s Dreamworks to option the movie rights. ■ Around the same time those discussions were taking place, Jim Lee and Rob Liefeld were in discussions with Marvel to take over four of their monthly titles. Heroes Reborn was first announced on December 14, 1995 under the working title “Unfinished Business.” Jim Lee’s Fantastic Four #1, the first of the new books, hit the stands on September 4, 1996. Ron Perelman, who owned it at the time, said ‘I want to meet with you, fly out to New York.’ And you’d think a millionaire would fly you out [laughs] … but I figured, okay, if I’m going to meet with him, we’re probably going to talk about something pretty big. And sure enough, they actually said, ‘what would you think about us buying your company, and you would run Marvel.’ And this was before they went bankrupt, okay? So the stock was low, and I think this was a stock play, because to Wall Street it would be like, ‘this is the guy who had the best selling book at Marvel, left to start his own company, Marvel’s reacquired him … and then he’d get a big bump, and would be making paper money at least on the stock price. So we had a follow up series of meetings, and the pay would’ve been awesome, and they would basically pay me for the company — the value of my company — based on a multiple of what they call earnings for profits, five years down the road, which is fine, because the pay was astronomical: two million dollars a year. But I said, ‘you’re not paying a penny for my company.’ I mean, two million is amazing, right? And I said, ‘well, if you go bankrupt, you’re not going to pay me anything for the company you’re acquiring,’ and they wouldn’t budge off that, this model. Basically, it was performance based. I mean, two million is great. You’re getting paid well to do it, and then you really cash out if you can lift the company up. Marvel filed for Chapter 11 bankruptcy on December 27, 1996. Six months earlier, initial orders were coming in for the first month of Heroes Reborn books, assuming Lee’s estimate on the date is correct. ■ Also six months earlier, on June 25, 1996, Dreamworks officially optioned Quesada & Palmiotti’s Ash. The movie was never made. For the second half of Heroes Reborn, Marvel handed Liefeld’s two titles to Lee, who would oversee all four book but would no longer be drawing any of them. Instead he was prepping a new series called Faraday’s Law — later to be renamed Divine Right — and working on a final X-Men story. The second half of Heroes Reborn began shipping in February 1997. ■ April 16, 1997 saw the release of Azrael/Ash #1, a crossover between Joe Quesada’s first creator-owned character and the DC character he was most known for. It would be the last DC story he’d ever draw. 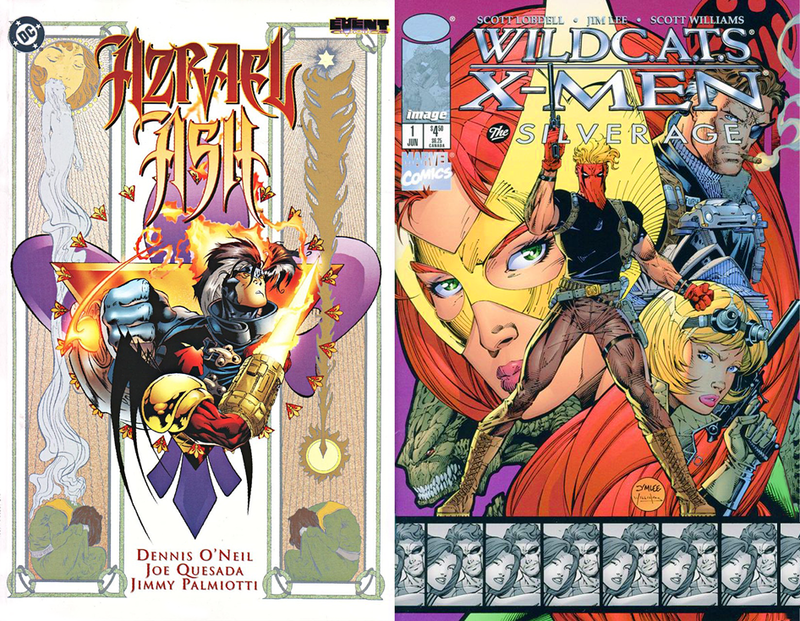 ■ June 26, 1997 saw the release of WildCATs/X-Men: The Silver Age #1, a crossover between Jim Lee’s first creator-owned characters and the Marvel characters he was most known for. It would be the last Marvel story he’d ever draw. Earlier in June, Lee announced via AOL that Heroes Reborn would be wrapping up with issue #13 of each title, and also confirmed a rumor that he was in discussions with Marvel to take over four other books, this time in-continuity. He’d be acting as a creative supervisor on Punisher, Nick Fury, Doctor Strange, and Defenders. ■ But by the end of June, Carl Icahn and Marvel bondholders had seized control of the company from Ron Perelman. Icahn fired the CEO and President and replaced them with Joe Calamari. 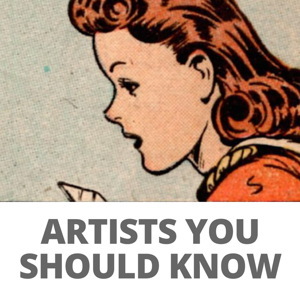 Calamari began putting out feelers for other star artists to run a line of comics. To replace Jim Lee’s line? To compliment Jim Lee’s line? To use as a bargaining chip in negotiations about Jim Lee’s line? I don’t know. What I do know is that Calamari spoke to Gareb Shamus, the founder of Wizard: The Guide To Comics, and Shamus suggested Calamari talk to Quesada and Palmiotti. Quesada and Palmiotti put together a list of characters who didn’t currently have books in publication, but they were also very interested in Daredevil, whose series was currently active. Quesada’s plan was to go in and make a demand so outrageous that Daredevil would seem like sensible request in comparison. So we met with him again, and he’s like, ‘so tell me how you’re going to fix the company?,” and I said: ‘Make us both Editor-In-Chief and we’ll fix the company.’ And he’s like, ‘I can’t do that’ — ‘No, seriously, both of us will fix this company for you, we know exactly what’s wrong.’ And the truth of the matter is we probably could’ve done it at that time, too. But negotiations stalled. Quesada and Palmiotti had a friend in Dan Buckley, who was the Vice President of Marketing Services at Marvel, so they asked if he could figure out what was going on. Negotiations resumed soon after. ■ On September 24, 1997, Wizard #75 reported that Jim Lee’s line wasn’t happening after all. ■ Meanwhile, Jim Lee was still thinking about that offer Marvel had made to buy WildStorm, his piece of Image Comics. 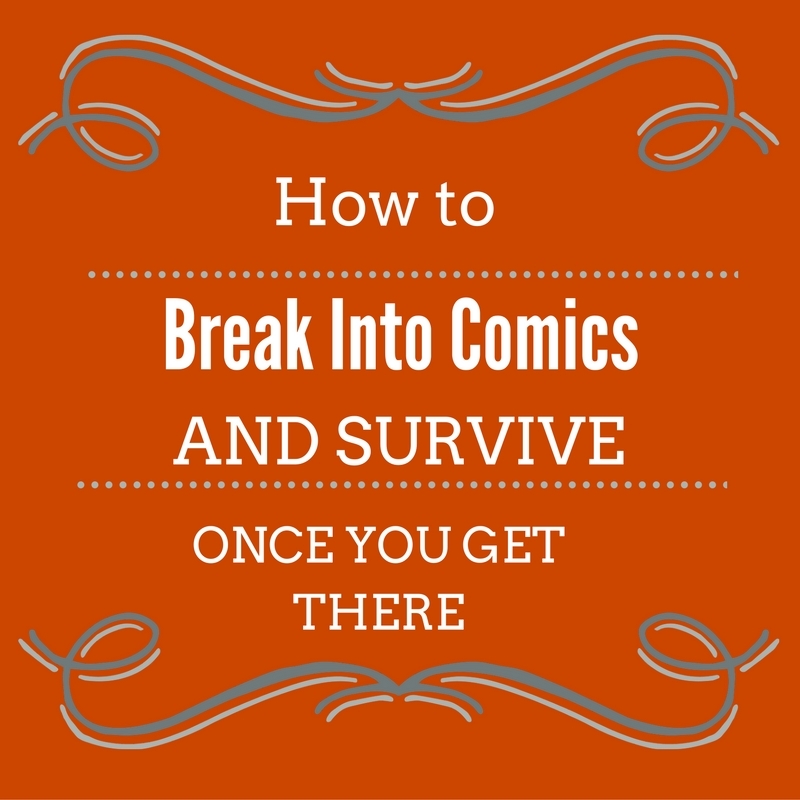 He approached DC and Paul Levitz with the idea, and a year-long courtship began. Quesada and Palmiotti insisted that they didn’t want to run this imprint as outsiders; they wanted to work in the same offices and go through all the same approval processes. But there was one snafu — whether down to resentment or sheer coincidence — that led to Kevin Smith briefly quitting Daredevil. Deadpool and X-Men writer Joe Kelly was ending his run with Daredevil #375, but Marvel didn’t want any downtime between the old and new run, so they commissioned Scott Lobdell to fill the space with a four-issue arc. 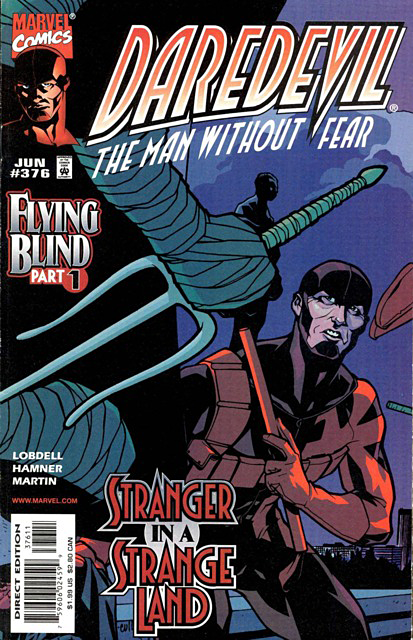 Kevin Smith was working on a storyline in which “a supernatural character was going to offer DD his sight back, but it came with a price,” but was crushed when he learned Lobdell’s story also involved Daredevil getting his sight back. Smith needed a new story idea quick, but nothing was coming. So he quit the book before it began, announcing his departure on his View Askew website on January 14, 1998. The first issue of Lobdell’s run didn’t ship until April 1, 1998, but I guess that wasn’t enough time to change the fill-in, or just kill it entirely? On May 28, 1998, Wizard #83 announced that the Quesada/Palmiotti imprint had been officially named Marvel Knights. ■ On September 15, 1998, DC announced it would be acquiring Jim Lee’s company, WildStorm. ■ Also in September 1998, the Marvel Knights line launched. ■ Also in September 1998 (or early October), Joe Calamari was fired by Isaac Perlmutter after the successful merger of Toy Biz and Marvel into Marvel Enterprises. The first four Marvel Knights books. Doctor Strange was added in December. ■ Two years later, Joe Quesada was named Editor-In-Chief of Marvel in August 2000. ■ Also in 2010, Joe Quesada became Chief Creative Officer of Marvel. ■ Earlier this year, Jim Lee became Chief Creative Officer of DC. ■ There are so many little moments that, if they’d gone different, might’ve changed the course of comics history. If Joe Quesada had achieved becoming a star Batman artist, would he have become a DC editor and worked his way up to Publisher like Paul Levitz? If Jim Lee had continued to run an imprint at Marvel, would he have become Editor-In-Chief? Or are they the perfect people in the perfect place to one day make DC/Marvel crossovers happen again…? The above was sourced liberally from Kevin Smith’s podcast Fatman On Batman (about to be renamed Fatman Beyond). Before it was a series discussing current comics news, co-hosted with the always insightful Marc Bernardin, Fatman On Batman was a series of career-spanning interviews with creators and celebrity fans of Batman, who often dropped mind-blowing nuggets I’d never heard anywhere else. Unfortunately, the early episodes are now locked behind a paywall on Stitcher, but if you’re a fan of geek history, I recommend giving the service a try. The Mark Hamill interview alone is worth the price of admission. Other sources include CBR, Comics Alliance, Knightfall Saga, Man Without Fear, Mike’s Amazing World, Newsarama, Usenet, Variety, Wizard, and Marvel Comics: The Untold Story by Sean Howe. 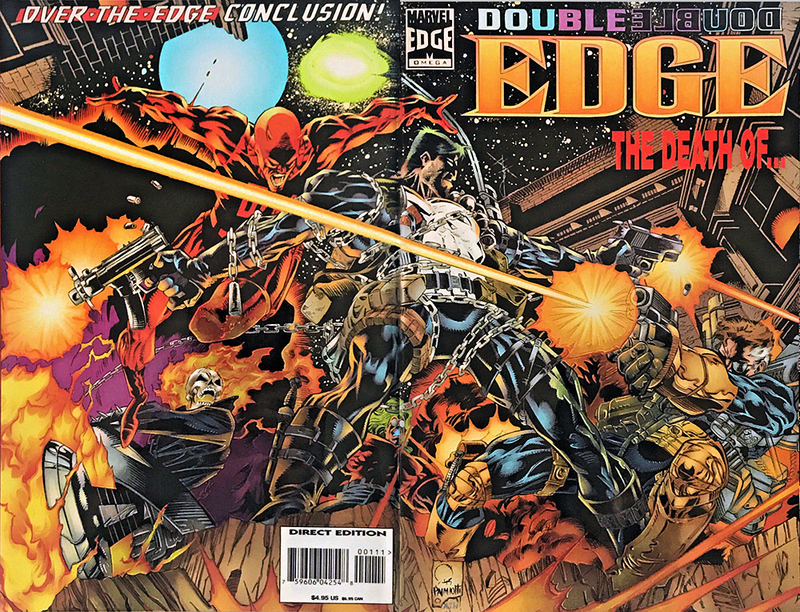 And just so I don’t confuse anyone into thinking the header image is some sort of rare unreleased artwork, it’s actually a Joe Quesada cover from 1995 for Double Edge: Omega #1. The way Daredevil and Nick Fury are fighting with Punisher in the middle seemed fitting. Appreciated all the contextual info in this lengthy article. Your article makes me feel better about Marvel heading in a good direction with Cebulski and more of a presence by Quesada. Tantalising to think Quesada might have remained at DC. But as personal relationships matter so much, it’s hard to think of recriminations on the part of the Bat-Office/DC (at least maybe until the success of MK in the decade after – and then only as a what if, in a way similar to what I’m imagining). Sidetracked. Cool contrast for the basis of this article, to have made. Most likely. Really just musing to imagine a Quesada-less Marvel in those events. You’re right, can’t be done. This was very interesting . Great timeline of events. Wow amazing piece. I remember a lot of this stuff from the time – as rumours mostly -but you put it together wonderfully with quotes and background info from tons of obscure sources (Zentertainment! What a blast from the past). Really great work. @Mark: If you want to list them I’ll fix them. I usually don’t comment on things I participated in while in service to others. But when the story being told is true I like to back it up with my own thumbs up. John Nee and I were also at the meeting with Ron Perelman and Bill Bevins who was the exec in charge of overseeing the execs who were in charge of Marvel. I’d been in a meeting with Bevins before as part of Heroes Reborn negotiations. Anyway, the meeting went the way Jim retold it. Plus some really amusing anecdotes that aren’t my place to tell. But my first hand recollections of that day are the same as Jim’s.